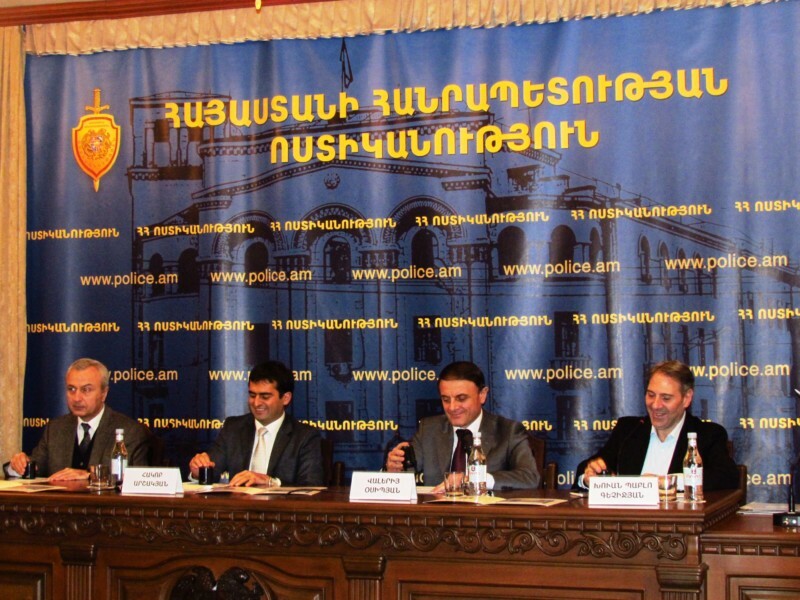 On October 31st, 2018, a postage stamp dedicated to the theme “Armenian statehood: 100th anniversary of the foundation of the RA Police” was cancelled and put into circulation by “HayPost” CJSC in the premises of the building of the Police of the Republic of Armenia. The postage stamp depicts the symbol of the Police of the Republic of Armenia and the Armenian and English inscription “100th anniversary” made in the form of fingerprints. The background of the postage stamp depicts the tricolor of the Republic of Armenia. 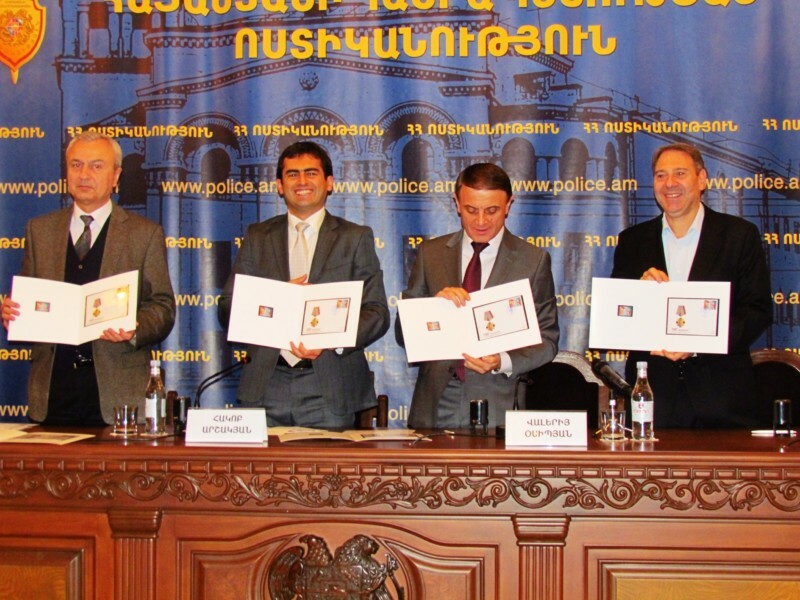 The postage stamp was cancelled by the RA Minister of Transport, Communication and Information Technologies Hakob Arshakyan, the Head of the RA Police, Police Colonel Valeriy Osipyan, Chairman of “HayPost” CJSC Juan Pablo Gechidjian, President of the Union of Philatelists of the RA Hovik Musayelyan.